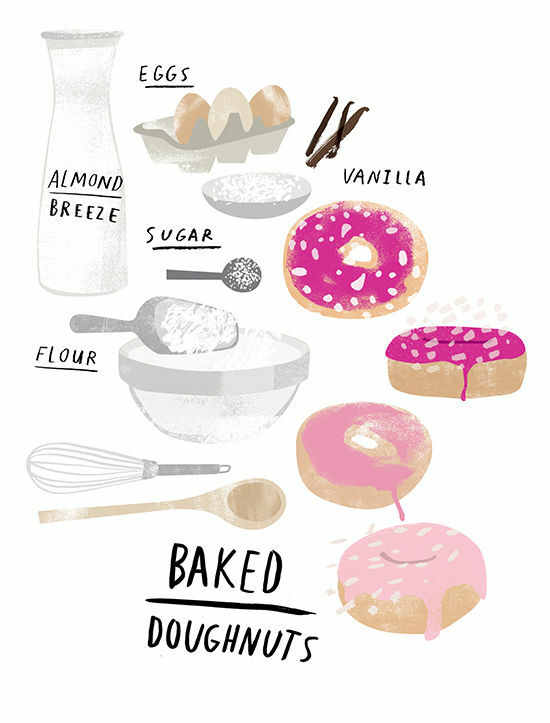 have you ever had baked doughnuts? 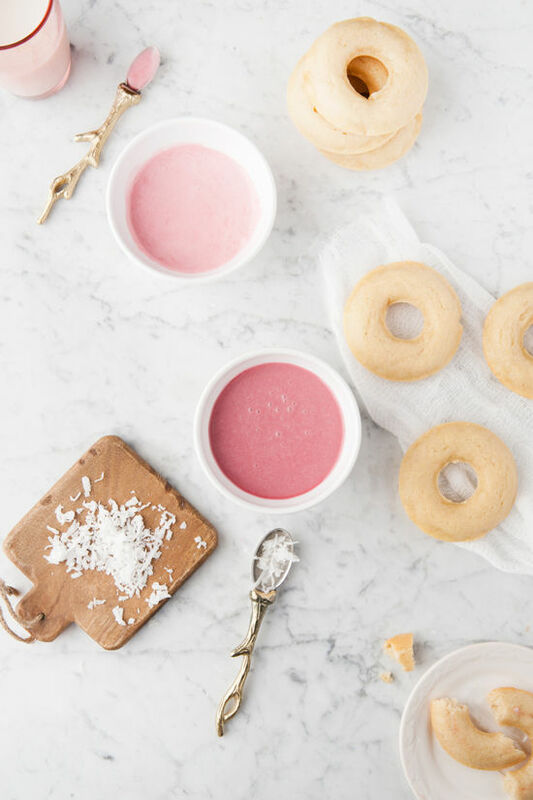 they are surprisingly so delicious and a healthier option to satisfy your doughnut cravings! ivan is sharing this beautiful recipe with us today in partnership with our awesome long-time sponsor, almond breeze. we will be coming up with more fun brunch recipes in the coming months, so keep an eye out! MAKING THE DOUGHNUTS: Preheat oven to 350 degrees. 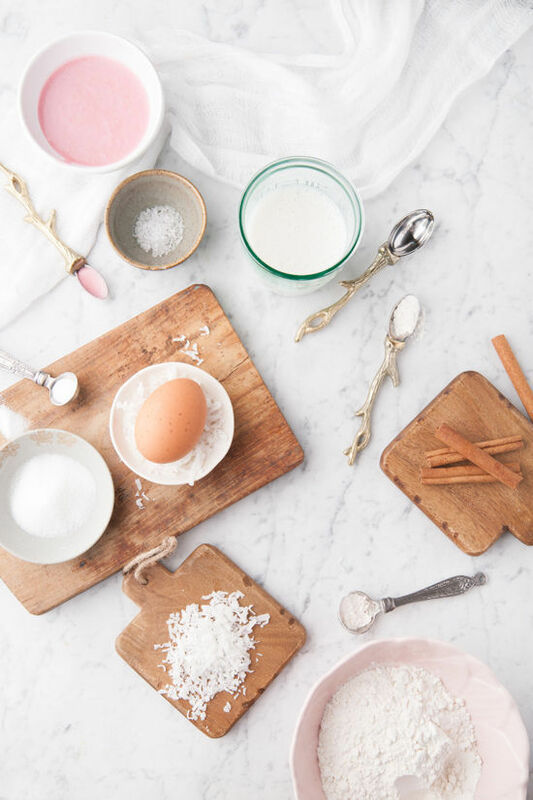 In a large bowl whisk together 1 cup all-purpose flour, 1/2 cup sugar, 1 1/2 teaspoons baking powder, 1/4 teaspoon salt, and 1/4 teaspoon cinnamon and set aside. In a small saucepan on medium heat, stir in the 1/2 cup almond breeze, 1/2 teaspoon white vinegar, 1/2 teaspoon pure vanilla extract, 1 egg and 4 tablespoons softened butter. Stirring constantly with a whisk until butter melts. Combine the wet mixture to the dry flour mix until smooth. 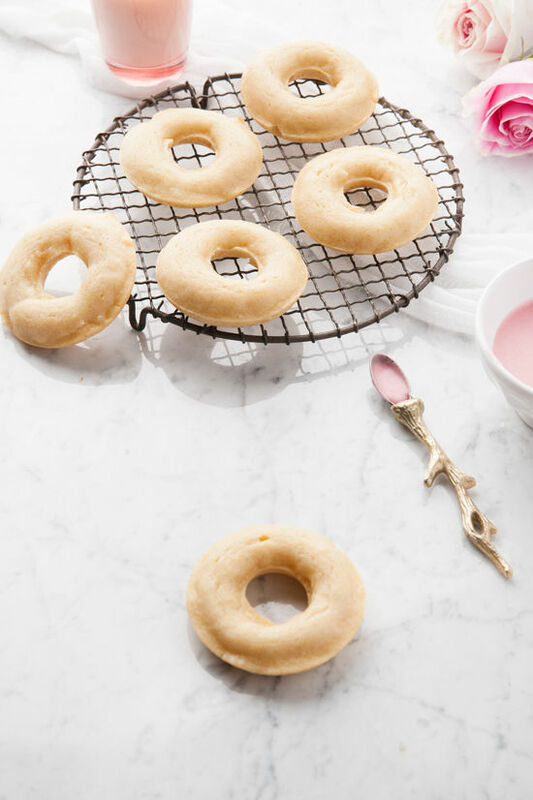 With a large spoon, pour the doughnut batter into an ungreased doughnut pan. Bake for 12 minutes or until a toothpick inserted comes out clean. 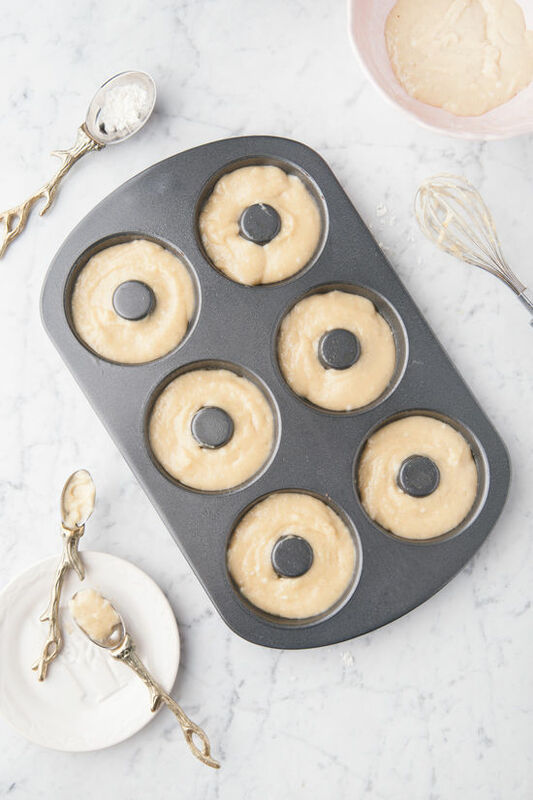 Remove baked doughnuts immediately from pan and place onto a cooling rack. how to make: In a medium size bowl scoop in 2 cups powdered sugar. Add in 2 tablespoons almond breeze and 1/2 teaspoon pure vanilla extract. Mix well until smooth consistency (Add in additional powdered sugar for a thicker consistency). Separate the glaze into two even batches on an additional bowl. For the first pink glaze; one drop of red will do, mix well. In the second bowl use 5 drops red and 2 blue to achieve a darker hue of pink. 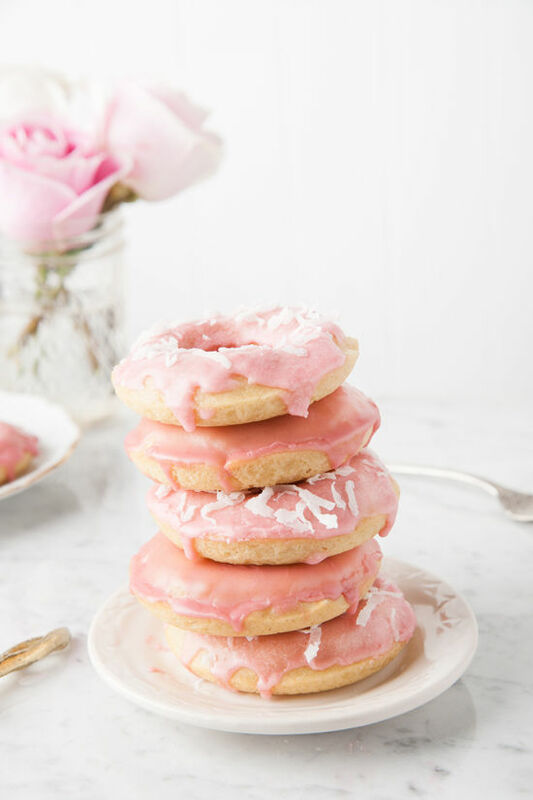 Dunk in each doughnut and set back onto cooling rack (keeping a towel underneath the rack will ensure less cleaning time as the glaze drips until hardens) Garnish doughnuts with coconut flakes. want more food posts? click here! this post is in partnership with almond breeze. all opinions are my own. Anthro shout out! I have those spoons too! 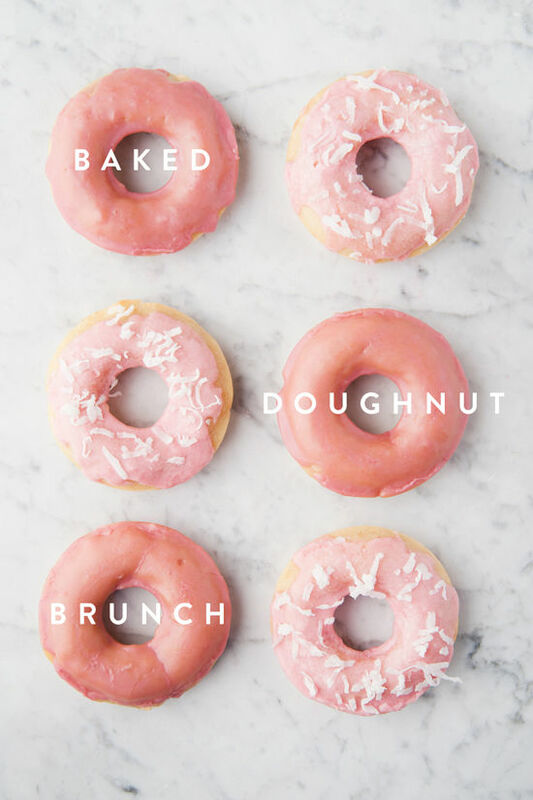 I’ve always been intimidated by the idea of making donuts but this makes it look so easy! And the photos look so great with those colors. Never had baked doughnuts before though. What a great idea, the colors blown my mind, I will try it, looks, very simple recipe. Love it. Mind blown. I must try these! Yum. 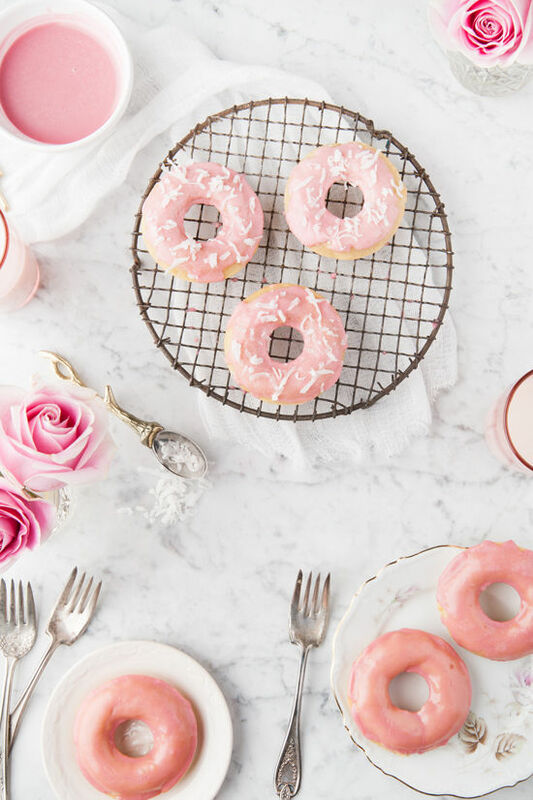 Baked doughnuts are the best for breakfast! I love baked donuts! I’ve made them once before and they taste just as amazing. I love how yours turned out. They look so cute. I’m not a huge baker so I don’t know if this more common than I understand, but can you tell me a little about the vinegar in the mix?? I am an almond breeze junkie…definitely trying this ASAP. I love making baked donuts! 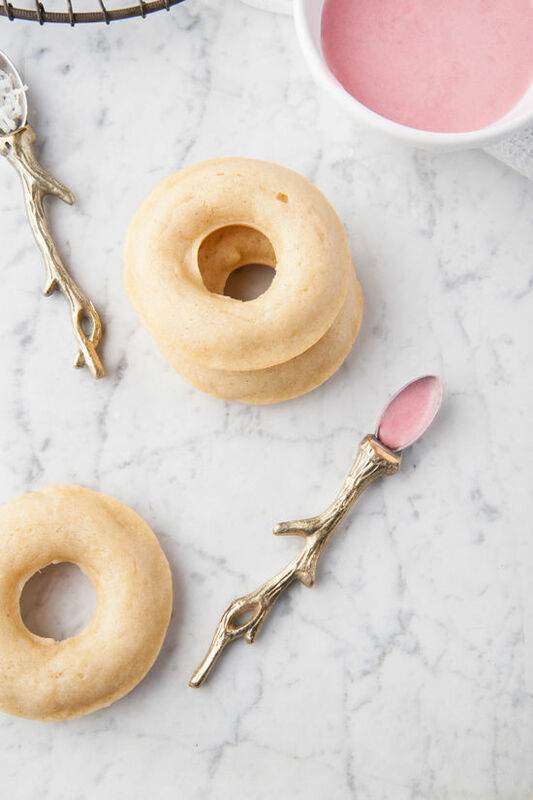 I don’t have the proper equipment to make traditional donuts and being gluten free if I want a donut, I need to make it. I love the colour of the icing with the coconut shavings!!! oh my gosh that’s amazing. looks delicious. i want one now! 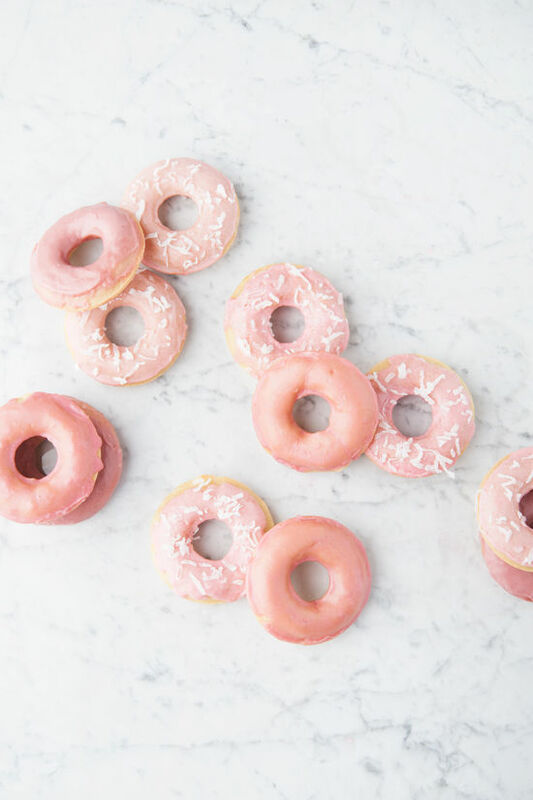 I actually eat so many doughnuts that I’m in need of recipes to help me cook my own. 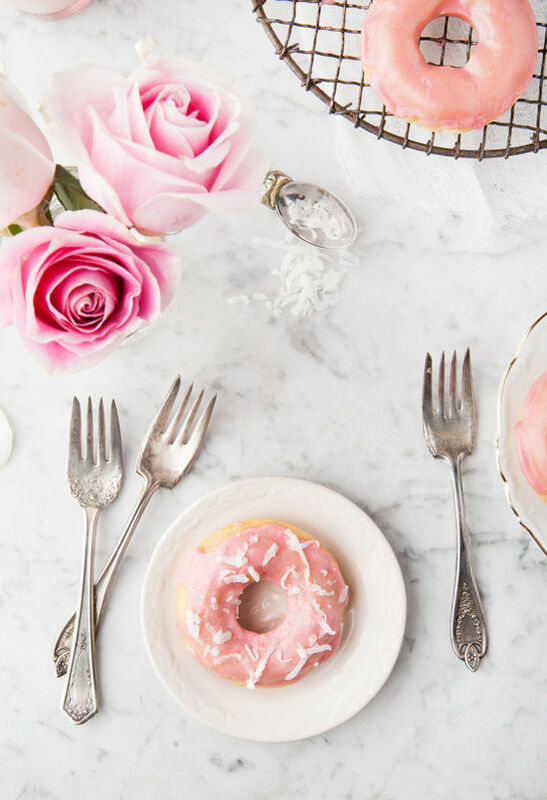 I definitely need a healthier option than the doughnuts you buy, so this is perfect timing! Wow! This legit looks like so drool-worthy! I want to try this, but I don’t have a pan like that! I wonder what I could do instead…. hmm… Love the post tho! Holy crap! this made me want a doughnut so bad!!!! They look so yummy! I love the spoon too! So cute, pretty and looks super yummy!! 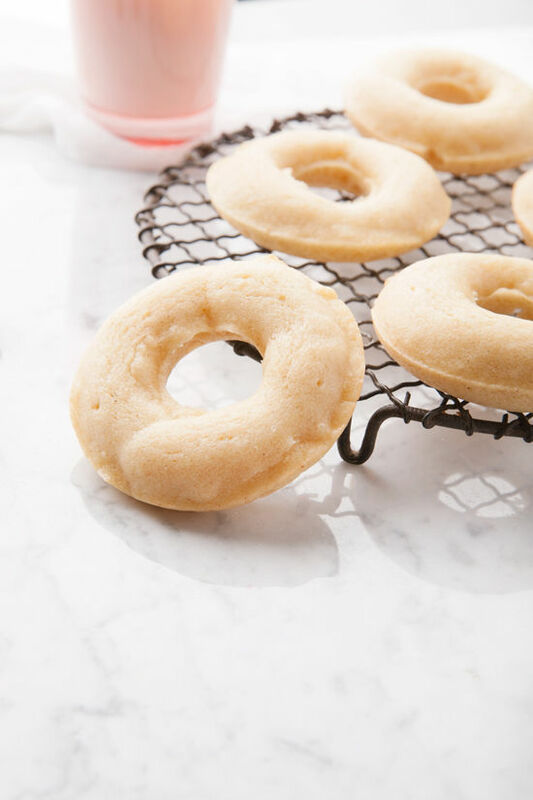 You could make these even healthier by replacing the all purpose flour with a coconut flour/almond flour blend, the sugar with natural honey or coconut crystals, and coconut oil instead of butter. Also, instead of white vinegar, use apple cider vinegar (AMAZING health benefits). Pink must be your favorite color I guess.